Dr Hans-Ger­hard Kampf as Mana­ging Direc­tor of Klasmann Wer­ke in the 1980s. We mourn the loss of our for­mer Mana­ging Direc­tor Dr Hans-Ger­hard Kampf, who died on 19 Novem­ber 2016 aged 93. Dr Hans-Ger­hard Kampf was born on 17 Novem­ber 1923, obtai­ned a PhD in Engi­nee­ring and joi­ned what was then Hese­per Torf­werk GmbH on 16 July 1956, i.e. during the life­time of our com­pa­ny foun­der Georg Klasmann. In an anec­do­te about Dr Kampf’s inter­view for the job, Georg Klasmann is quo­ted as say­ing: “Ever­ything went off fine. I am only a litt­le con­cer­ned that he asked about working hours. But I think he will pro­ve to be qui­te OK.” To begin with, Dr Kampf was in char­ge of the tech­ni­cal office and was made an aut­ho­ri­sed sig­nato­ry on 26 Sep­tem­ber 1961 – in other words, at a time when mecha­ni­cal engi­nee­ring was one of the company’s major busi­ness units. As he was the first employee at the com­pa­ny to have a doc­to­ra­te, he was soon refer­red to by all and sund­ry sim­ply as “the doc­tor”. 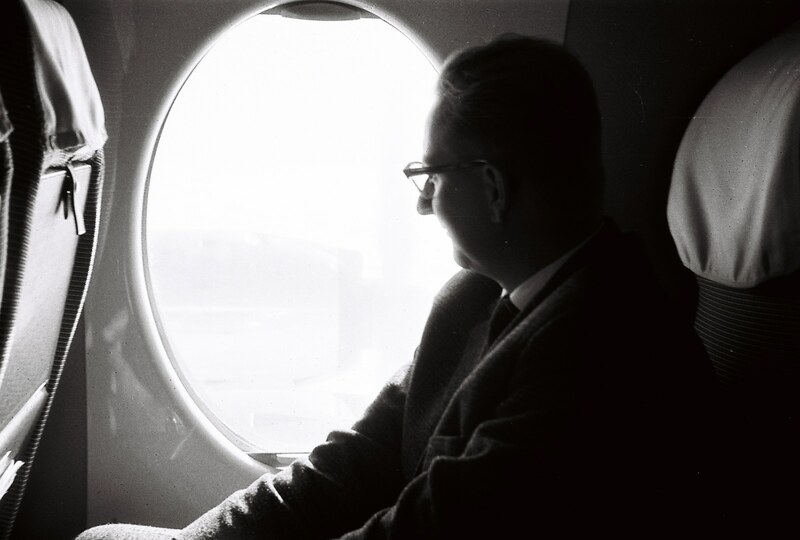 Dr Kampf on his way to Scot­land in the ear­ly 1960s. 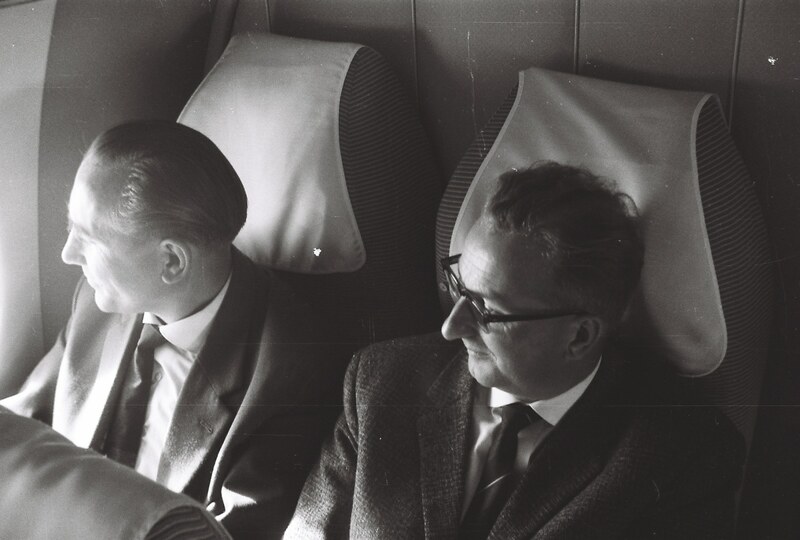 Ernst Siebels, who later beca­me Mana­ging Direc­tor, and Dr Hans-Ger­hard Kampf (r) on a flight to Scot­land. The staff at Klasmann-Deilmann appre­cia­ted his strength of cha­rac­ter, his sen­se of humour and his unsha­ka­ble com­po­sure. When he reti­red from the com­pa­ny, the­se cha­rac­te­ris­tics were quo­ted as being “some of the decisi­ve fac­tors for your suc­cess: your popu­la­ri­ty with the peop­le on the fac­to­ry floor and the respect you are shown. Amongst other things, that is evi­dent from the fact that when speaking of you, near­ly every employee does not quo­te Dr Kampf, but sim­ply says: ‘Accord­ing to doc’, or ‘the doc­tor said’. We shall che­rish and honour the mem­ber of Dr Hans-Georg Kampf.